As a leader in corrosion resistant equipment for fluid measurement and control, Plasti-Fab has thousands of gages installed in corrosive environments around the world. Plasti-Fab products are fabricated from highly corrosion resistant composite fiberglass reinforced plastic (FRP) with a 25 year corrosion warranty. Plasti-Fab is recognized around the world as an experienced innovator providing composite solutions for municipal and industrial fluid measurement applications. 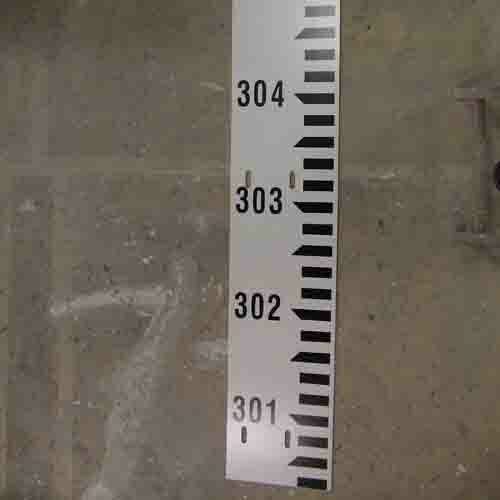 Plasti-Fab has made Fiberglass head Fluid Level Gagefor use in open channel flumes for over 20 years. Due to market demand, we now offer this same durable construction in all sizes of custom level fiberglass gages. Standard gage widths: “P” style 3 to 6 inches and “S” style 6 to 14 inches. Custom widths available.